Odin gives us wisdom, Thor gives us strength! Brothers and sisters of the ancient Nordic fate heed our call! For centuries we have allowed our fate to become a slumbering and marginalized fate who lacks recognition in both society and the spiritual world. The Nordic Asa-community NAC (Nordiska Asa-samfundet NAS) works hard to restore our faith, our religion, our history to its former glory. In a world paved with conflict and doubt, we need to show the world its roots, give those that are lost in the modern materialistic world a true, healthy identity, within the ancient Nordic religion. 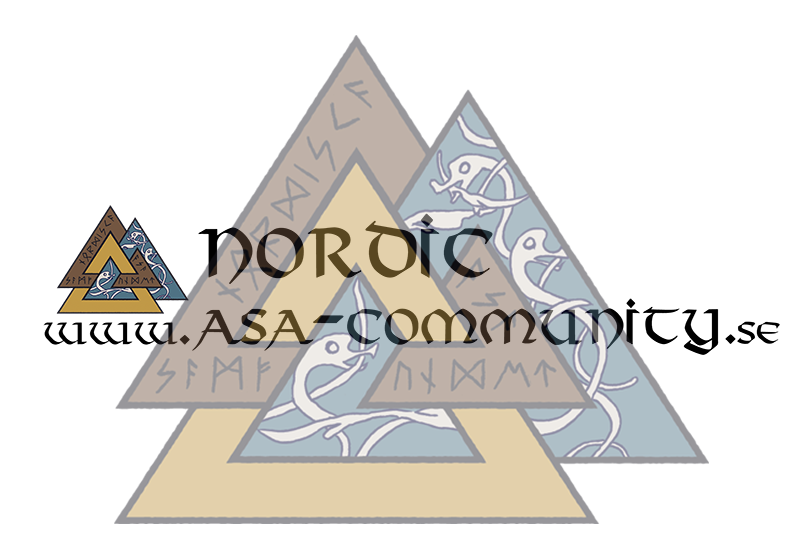 The Nordic ASA Community needs YOU! For help and support! We are currently reaching out to all our brothers and sisters scattered all over the globe. Help our mutual cause by spreading the word, invite loved ones and friends who share our belives. Write on forums and encourage others to join together and restore our faith to its rightful glory! Now it is time to start construct our Asa-Center. It is a 45meters long and 25meters wide tempel and administrations center. And it will be the first house of worship in over 1000years in the Sweden. We have been granted land for the temple not far from old city of Uppsala. The center for our belifes in Sweden in the viking age. More about the temple and the construction plans can be found on our website. If we will not make the sum for an Asa Center, the money raised will go to buy or restore an existing building. In any way the money will go to a center of worship in Sweden. Good morning . Can l make a donation in september ? It is impossible for me now . Thank you .